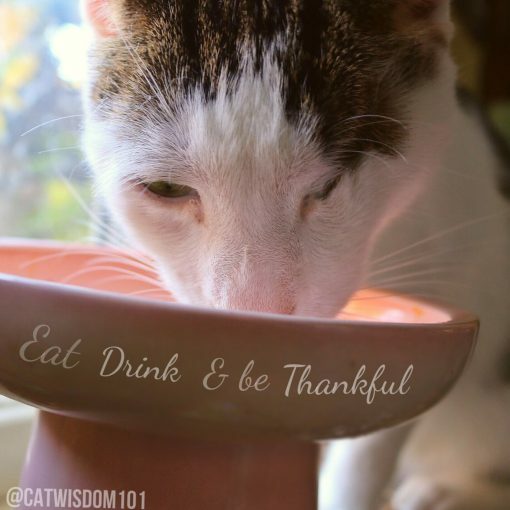 Gratitude Thanksgiving When Life Isn’t Purrfect. As the old saying goes, if you want to make God laugh, tell him your plans. I had plans to open my shop in time for Black Friday. So close but it’s not going to happen. I had plans to share my new book (free to subscribers) today as a thank you gift but it’s only 90% done. It would be like serving you a pie that hadn’t browned to to a golden crisp. What I can give right now is my honest gratitude from my heart. 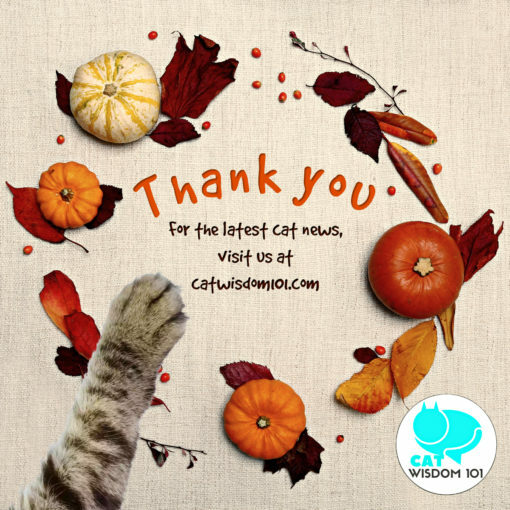 Thanks for reading, visiting, caring, sharing and loving cats. We live in troubled times when I’m sure many of wish we could be coddled cats. Who wouldn’t love to dive under the covers for a catnap anytime we choose? That said, for the first time since starting this blog in 2011, I truly believe there is always something to be grateful for. When I launched a GoFundMe for a hurricane ravaged spay/neuter clinic, I felt hopeful. When Panama City turned into a tent city, the news cycle turned to the California fires and donations dwindled, I felt unsupported in the bottomless need requiring time, money and energy. I felt angry that scammers ripped of hundreds of thousands from a Gofundme for a “homeless” man but legitimate fundraisers suffered. But then something good and unexpected happened. The team from GoFundMe made a donation to my campaign for $500! It restored my hope and while we’re not near our goal, we could be with a tiny help from you. If you can, thank you. Direct link to campaign Check out their latest posts, photos of their progress and temporary facilities open soon! SpayBay Facebook The team is awesome. I had to look back at previous posts for inspiration. 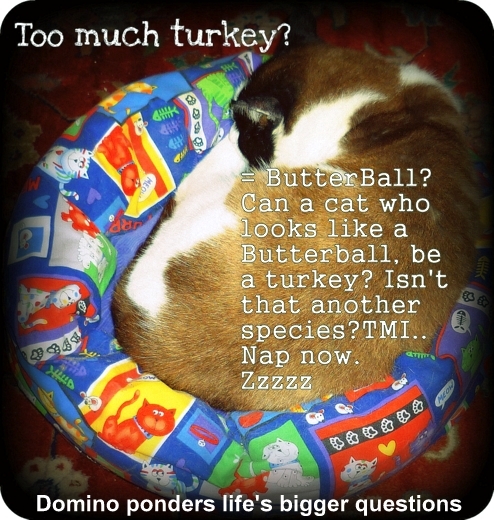 Big sigh.. the very first Thanksgiving in 2011 was a A to Z of gratitude. What a bittersweet memories of betrayal of a friend, a loss of a vet and two of my cats. In 2014 the A to Z list brought smiles of nostalgia and Odin had never looked cuter dancing fa, la, la into fall. I’d share some old Thanksgiving treasures from the vault. May your holiday be bountiful with full bellies and hearts. Odin, the most polite diner who always everyone to eat first. Domino’s first bed at age 7. He was feral until his first Thanksgiving. Odin loves turkey. 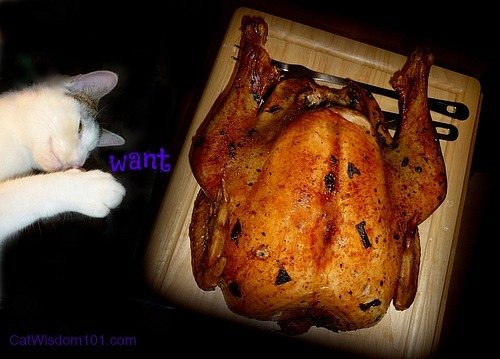 Do NOT give cooked turkey bones to pets! dear friend life is a blessing and always will be no matter the uphill struggles and downward spirals that we all face. I am so blessed and grateful to know each one of you in the way that I do and for every little kitty that I have ever met. I always have so much to be thankful for and try hard to remember that when life craps on me. I am sorry to be so late posting but as you said better late than never. There is always some wonderful thing that we can look for and find to be grateful and thankful for , we just have to open our eyes and hearts to find it. Everyday is Thanksgiving for us! Thank you for all that you do even when it doesn’t go as planned or meet some schedule. It will all be as it is meant to be. Luvs to all and prayers and Purrs of thanks for all that car so much for the kitties and other animals in this world. Grateful to have met you so many years ago and followed you through so many changes……life goes on……and carries us in its’ stream. Here’s to a wonderful holiday season for you…….and everyone. Happy belated Thanksgiving. We are grateful for you, and for all you do for so many! I’m with you – the older I get, the easier it is to find grateful in the smallest of things. Love and purrs from Deb and the Zee/Zoey gang. And after dinner I found a lost birthday card from last week, from my best friend! Grateful indeed! Warm belated Happy Thanksgiving to you! Hugs Layla. Mondays to me will always belong to Merlin although you Clyde and other helpers do a great job. I am so sorry your best laid intentions fell through and I know how hard you worked on SpayBay. I kept reposting it from yours and several others pages promoting it, I am glad it got some extra oomph. It i tough watching things you know are spoof and with a bit of digging to receive things when resources are sorely needed for legit causes.One day the cosmos will repay their silliness. I loved Odin’s feral first Thanksgiving. 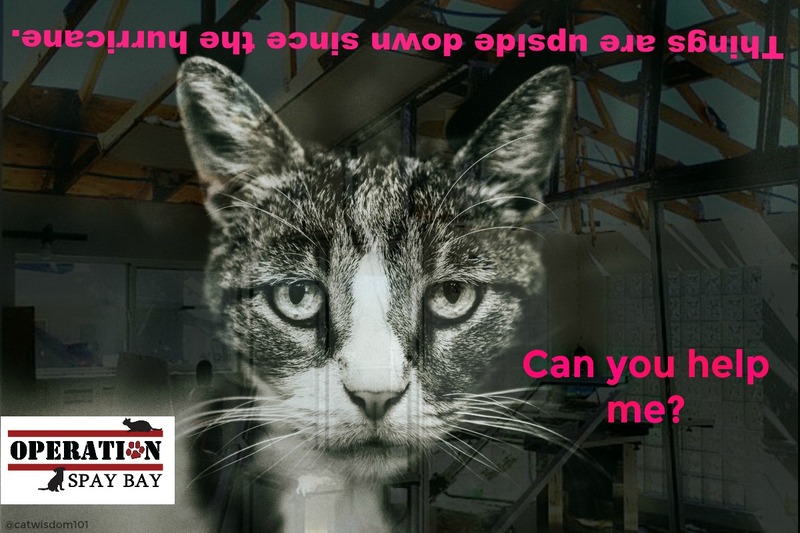 Our inside cats are all getting older… something is happening I cant put my finger on, so have some upcoming vet appointments. Punchy is STILL hanging on. Skin and bones as they do at advanced age, but he sure has enjoyed the turkey juice warmed up special for him. He comes onto the back porch for it, and stays until he has had his fill. He is all cozy in his heated enclosure but always glad for a sunny day although it is cold here. Got more visitors as usual during the winter, good meaning folks feed but so often forget fresh water.. I have always suspected that is the draw along with food. Toting frozen and replacing it is a chore,but they like a bit of warm water in the mornings- kinda like having a warm drink when we wake up I guess! Anyway I ramble. Life has still been a mess, likely not to clear up for awhile, but I am thankful for many things. I hope today find you well, and the days to come. Happy Turkey Day! Make sure your cats get some without bones. I did. Sorry your plans for this time of year didn’t work out. Everyone can look forward to them later. Happy to know you are finding gratitude anyway. Happy Thanksgiving. Happy Thanksgiving Day to you. I miss Merlin. He was a muse and inspiration BUT I am thankful to have made contact with such a gracious and inspiring cat. I love Odin for being positive and generous, he takes after you, his mum. I am thankful I helped sponsor Black Cats Tell all (unlike those who bailed – shame on them) It is still my go to gift for friends. You ar a fearless inspiration to us all and I hope I get to meet you one day. 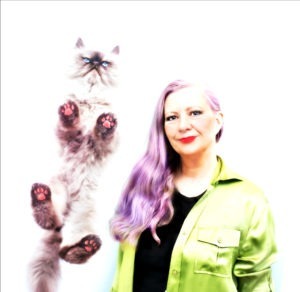 Marjorie, huge purrs of thanks for your contribution and always having my back xoxox Also for actually reading and not leaving generic blog hopping comments ;-0 We just do what we can. It often feels like a tiny drop in a bucket but drop by drop it gets full. I can’t imagine being at the front lines of a disaster. All those are heroes in my book to not only survive but persevere against odds. Have a PAWSOME Thanksgiving. Much love from me, Aki and Edgar Allen Poe. We are missing our two angels, Sir Hubble Pinkerton (the first Thanksgiving without his sweet presence, and his brother, Dr. Hush Puppy. I am so relieved however that they are together again… curled up, purring to each other and staying cozy and warm.